The CSS Albemarle at dock at the Norfolk Navy Yard. 1867. 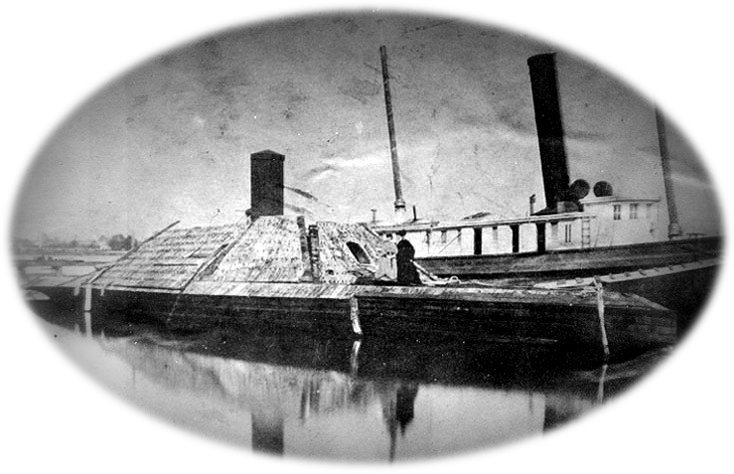 The amazing story of the CSS Albemarle is well chronicled and much discussed among Civil War history buffs. Yet, the fascinating tale remains unknown to many casual fans of history. You may wonder, what was it about this “Cornfield Ironclad” that made her story so unparalleled? The extremely adverse circumstances under which she was built. The Albemarle was constructed in a cornfield, far from the industrial facilities of a shipyard. Led by a 19 year chief contractor with no formal education in shipbuilding, the boat took over a year to construct. Supplies were in such short order that the Captain of the Albemarle, James Cooke, was known to go door-to-door and collect iron skillets, plows, etc. at gun-point that could be melted down and used for the ironclad’s armor! Her record against the dominant US Navy. Fighting against much larger ships with superior firepower and much larger crews, the underdog Albemarle managed to twice defeat the Union Navy in 1864. In fact, her tally of enemy ships sunk or damaged gives her the distinction of being the most successful ironclad ship of the Civil War! The incredible October 1864 commando raid that led to her destruction. Determined to destroy the “Rebel Ram Albemarle“, a brazen 21 year-old Lieutenant named William B. Cushing sank the Albemarle in the most daring commando raid of the Civil War. The result of an impassioned attempt to avenge the death of a close friend, Cushing’s spar-torpedo raid on the Albemarle today stands as a feat of unmatched bravery and skill that is considered one of the most impressive acts of the Civil War. Want to know more about this amazing ironclad? Visit the Port o’ Plymouth Museum to learn the full story and see our replica ship!